The world is facing multiple crises — economic, social and environmental. Developing countries are particularly affected as they struggle with weak and unequal economies, and find themselves located in regions that are the most susceptible to climate change. Both socially and environmentally, the agricultural sector plays a major role in the economies of developing countries. Socially, because it is the sector that provides the majority of jobs, and because it tries to ensure food security — a crucial issue in the context of rising food prices and recent food riots. And environmentally, because it uses up to three-quarters of the world’s fresh water resources, and because established farming systems can cause soil erosion, pollution, and desertification. It is absolutely essential and urgent that the world turns away from standard agricultural practices and adopts more sustainable farming systems. But can such farming systems produce enough to feed the world at an affordable price? SEKEM — a holistic, sustainable development initiative based on biodynamic agriculture — aims to do so. Biodynamic agriculture is a specific form of organic agriculture which, as defined by the Demeter ecological association, views the farm as “a self-contained, self-sustaining ecosystem responsible for creating and maintaining its individual health and vitality without any external or unnatural additions. […] Soil, plants, animals and humans together create this image of a holistic living organism. SEKEM applies biodynamic agricultural methods, including the extensive use of compost, to turn desert lands into living and healthy soil. The use of resilient crops and natural predators negate the need for external inputs, such as chemical fertilizers and pesticides. Biodynamic agriculture means closed nutrient cycles, in which SEKEM rears livestock to produce its own compost, grows cereals to feed the livestock, and uses crop rotation to enhance soil fertility. The surplus is sold in supermarkets and organic shops, both nationally and internationally. One crucial question posed when thinking of changing from the standard agricultural practice is: Will we face higher costs? The SEKEM model of organic, resource-efficient, and soil-protecting, sustainable agriculture requires 10-30% more manual labour on average than conventional agricultural production. Employing more workers usually leads to overall higher expenses. Also, organic products on supermarket shelves always cost more than the conventional alternative. The logical conclusion must be that organic production is more expensive than business-as-usual production. But is that indeed the case? The answer is no. Such a narrow economic view fails to take into account fiscal and socio-economic externalities which are not internalized in the market prize of organic products. 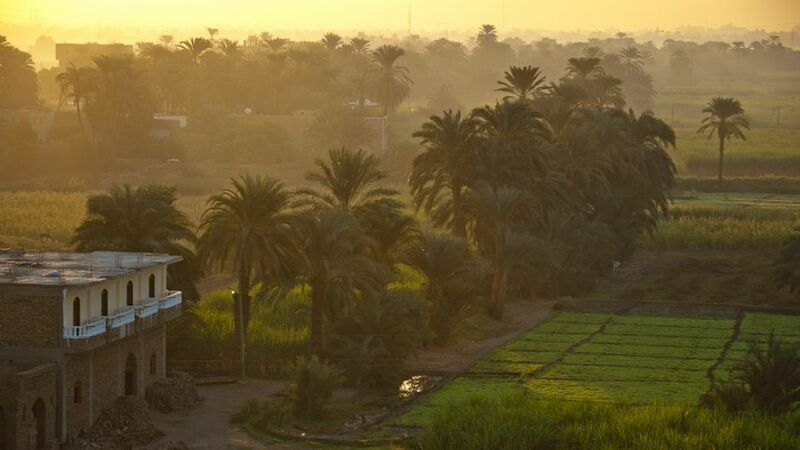 To take Egypt as an example, there are energy and water subsidies which promote resource-intensive practices. Resource-efficient practices, such as biodynamic agriculture, do not benefit as much (if at all) from these subsidies, and are put at a disadvantage, with resultant market distortions. The indirect cost-saving effects of more sustainable farming systems are also missing from this calculation. Healthy soils with a high content of solid organic matter increase the water holding capacity, decrease water consumption, and inhibit erosion. Compared to business-as-usual agricultural production, biodynamic agriculture’s increased energy efficiency, lower greenhouse gas emissions, and increased soil carbon sequestration, make it a superb tool to mitigate climate change. Resilient crops, crop rotation, and diversification methods such as agro-forestry, mean that the risk of crop failure is minimized. Intercropping and the absence of chemical inputs increase biodiversity. Moreover, lower expenditure on external inputs makes financial resources available to cover the costs of higher employment, thus promoting rural livelihoods. Biodynamic agricultural methods are also healthier as they don’t expose farmers, animals, soil, air, or surface water to hazardous chemicals. To quantify the cost-saving effects of sustainable farming systems and their potential to mitigate and adapt to climate change is somewhat difficult. However, it is not only common sense, but also the opinion of the scientific community and of economic analysts, that there will be a tremendously positive economic impact. Furthermore, there is another important factor to be taken into account, and that is the savings to be made on the cost of national healthcare systems when chemical pesticides and fertilizers are replaced by natural predators and compost. The health of farmers significantly improves, and the population can enjoy a wide variety of foodstuffs that do not contain any chemical residues. Considering all the cost aspects, from labour to machinery and from subsidies to environmental and health costs, sustainable agriculture is today already cheaper. As energy prices rise, as water becomes scarcer, and as climate change becomes more severe, only sustainable farming systems will be viable and affordable. In 2050, mankind will have to produce enough food for nine billion people. The availability of, the access to, and the affordability of, sufficient nutrients are the defining criteria of food security that have to be taken into consideration when choosing the farming system of tomorrow. Access and affordability: The rural areas where the greatest yield increases could be achieved through eco-intensification methods, such as agro-forestry, are often the same regions where poverty and hunger are widespread. Increased yields would therefore directly tackle access to food, and nourish the farming population. As sustainable farming systems are more labour intensive, a substantial amount of jobs would be created which, in turn, would enable many more people to buy foodstuffs for their families. Today’s prevailing agricultural paradigms need to be transformed. In the developed world, industrial agriculture achieved high productivity levels, primarily through the extensive use of chemical fertilizers, pesticides and herbicides, of water, and of transportation fuels. Traditional agriculture, mostly in developing countries, often results in deforestation and the excessive extraction of soil nutrients. Sustainable modes of agricultural production represent the only solution that can provide sufficient quantities of affordable and nutritious food for our growing global population. In these times of change, as we have recently experienced in Egypt, the window is open for renewed and intensified efforts to promote sustainable solutions to the great challenges that we face. Read an interview of the author of this article by UNU’s Oksana Buranbaeva. This article was originally published by Making It on 11 July, 2011. Farming for the Future: Egyptian Biodynamic Agriculture by Helmy Abouleish is licensed under a Creative Commons Attribution-NonCommercial-ShareAlike 3.0 Unported License. Helmy Abouleish is managing director of Egypt’s SEKEM Group. SEKEM’s companies support social and cultural enterprises like the institutions of education, research centres, and hospitals. Producing an extensive variety of quality consumer products in the fields of natural pharmaceuticals, organic food and textiles, information technology and ecological services. These products are made from ingredients from biodynamic farming, a method that aims to restore and maintain the vitality of the soil and food as well as the biodiversity of nature.